RCMP Alberta - On March 3, 2017 at approximately 8:30 pm Pincher Creek RCMP received a call from the Blue Mountain motel reporting one of their rooms had been severely damaged. Later that evening the MD of Pincher Creek had a truck stolen from their yard, the stolen vehicle was driven through the MD yard fence causing extensive damage. At approximately 10:00 pm the stolen truck was found abandoned in a rural area near Fort Macleod. A male suspect was located in Fort Macleod, Alberta and taken into custody by the Fort Macleod RCMP. The investigation revealed the same person was responsible for the damage to the motel room and the theft of the truck from Pincher Creek. 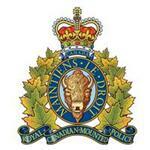 RCMP have charged Bryce Yates Burles age 22 with one count of Mischief under $5000.00, one count of Mischief over $5000.00 and possession of stolen property over $5000.00. Burles was released by the Justice of a Peace to appear in Pincher Creek Provincial Court on March 7, 2017.